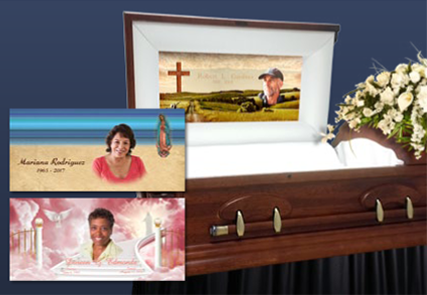 Create Personal funeral services that Wow your families and help you connect with them forever! 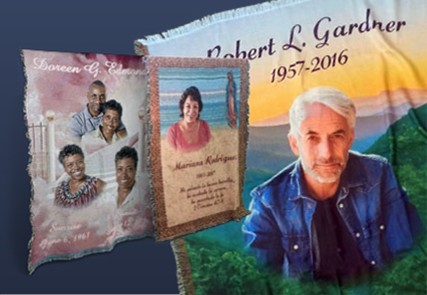 Funeral Home Gifts provides beautifully designed, all American made woven and printed blankets, cap panels, pillows, urns, crystals and portrait items (wood plaques, satin-wrapped panels and metal) available to our wholesale funeral home partners, in an ever-growing array of unique styles and sizes. 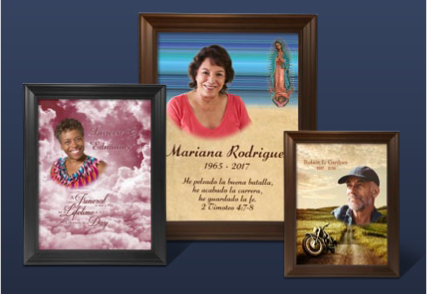 Our Funeral Home Gifts are a guaranteed hit with your client families, both during the service and long afterwards. 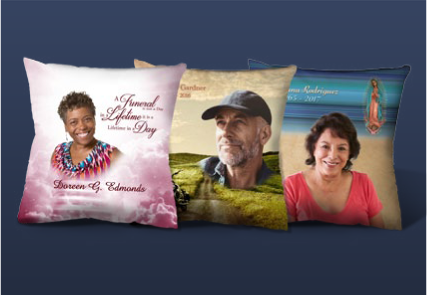 Your thoughtful gift will increase revenue and referrals. Our products become a centerpiece during the service. Our blankets become a centerpiece during the service. Each item generates referrals for future services. Our gifts become a precious heirloom afterwards. 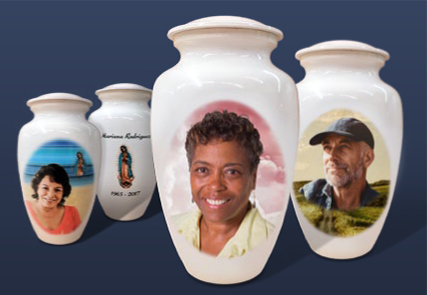 Our Urns ensure added revenue with cremations. Hundreds of beautiful unique designs. Easy online design & ordering process. Artists on-hand for custom designs. 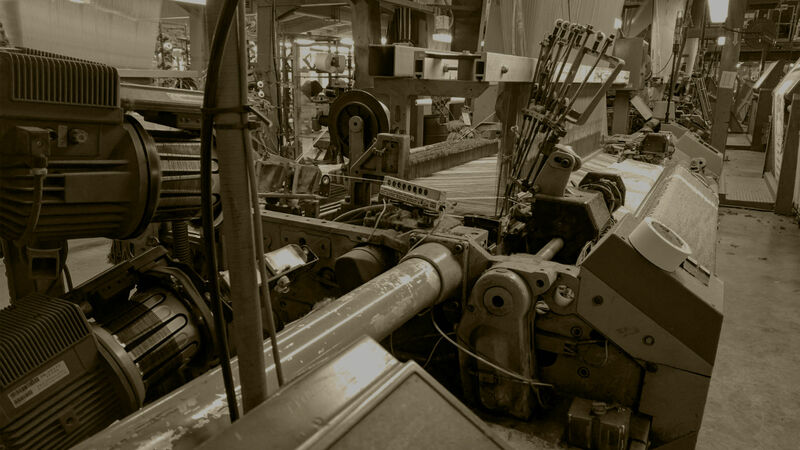 All Items are Made In America.